Have you heard the news? Hot Winter Nights has been extended through February! We have big news! 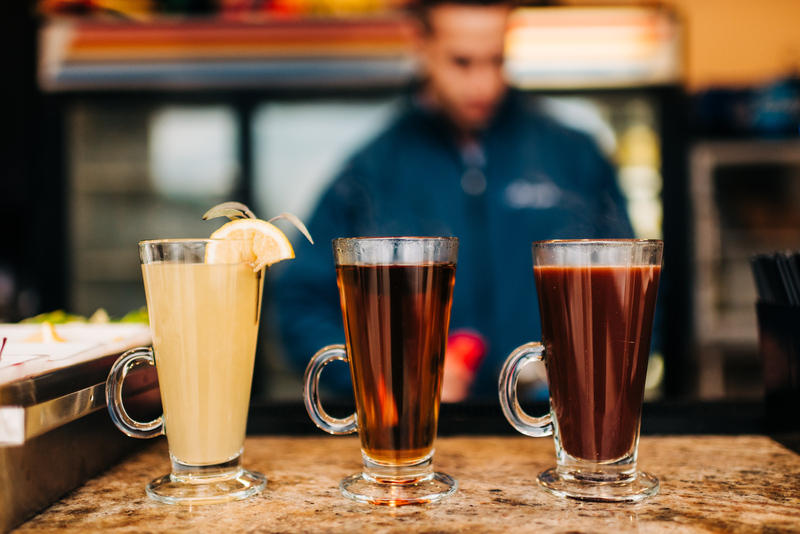 Due to popular demand, Hot Winter Nights has been extended through February! This fun lakeside adventure can now be booked on weekends through February 2019! If you haven’t heard about Hot Winter Nights, you’re missing out. For the first time ever, The Coeur d’Alene Resort’s outdoor Infinity Pool has been transformed into a giant hot tub! 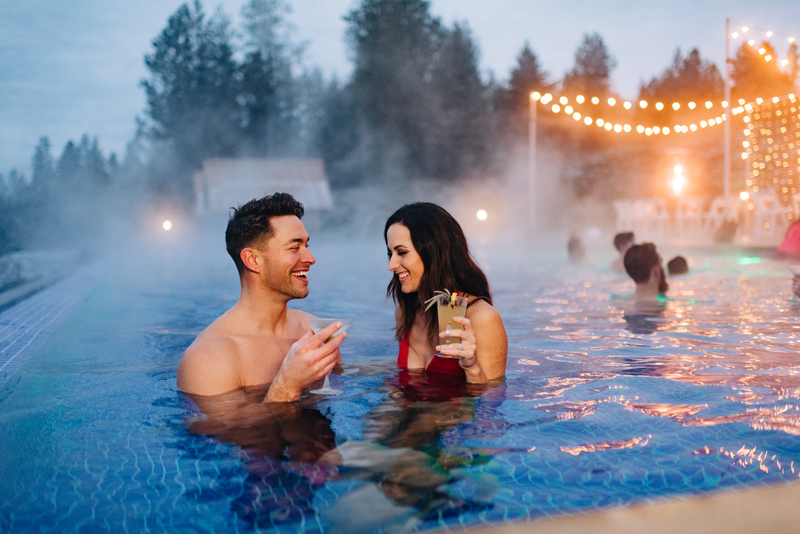 For those tough enough to brave the icy air before taking the plunge, guests can book a Resort stay on Friday or Saturday nights in January or February, 2019 to access the heated infinity pool and lounge! Here’s how it works: simply book an overnight Resort stay on select dates in January or February and gain exclusive access into this fun event. Guests will be whisked away by Resort limo vans and transported to the outdoor Infinity Pool (located adjacent to The Resort Golf Course). 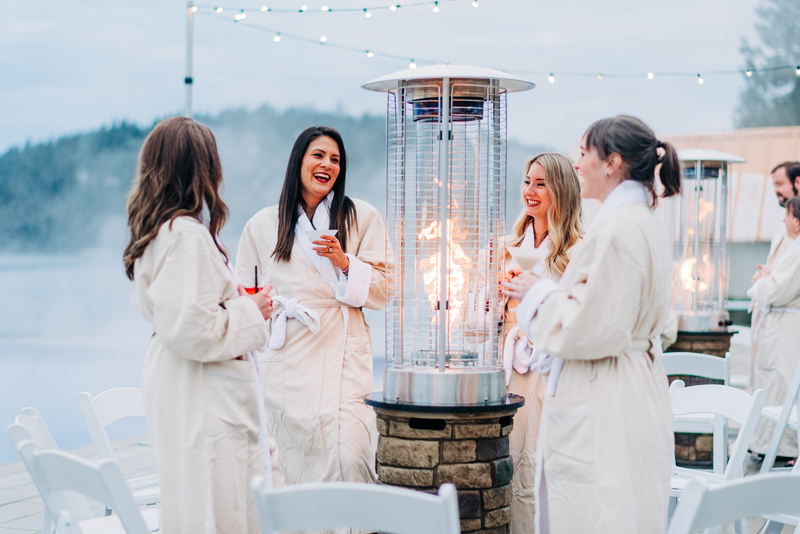 While basking in the sheer delight of giant hot tub relaxation, warmth-seekers will enjoy frosted views of a wintery Lake Coeur d’Alene, surrounded by radiant white twinkle lights and toasty warming fires. 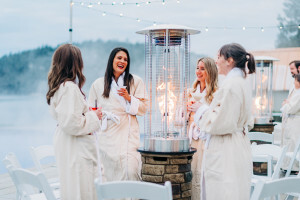 Guest can step out of the pool and check out the indoor lounge area and multiple bars with winter-themed cocktails (like Hot Caramel Apple Cider and the Hot Sage Toddy), snacks, and desserts. Families are encouraged to enjoy the infinity pool hot tub from 4-8 p.m., then the party and music will crank up 8-10 p.m. during the adults-only soak (ages 21+).